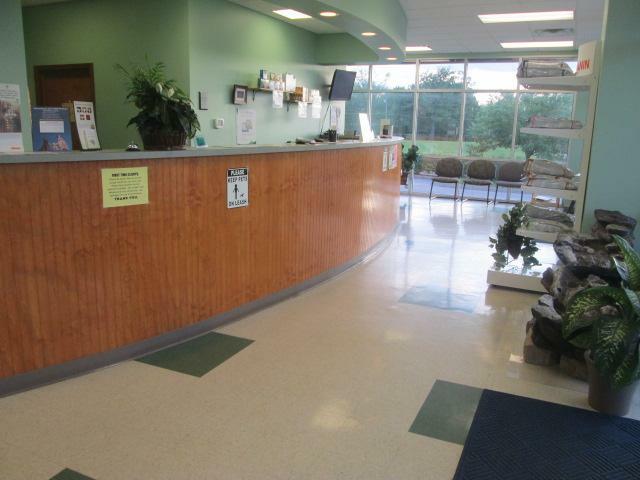 Our spacious reception area allows dogs and cats to wait separately. 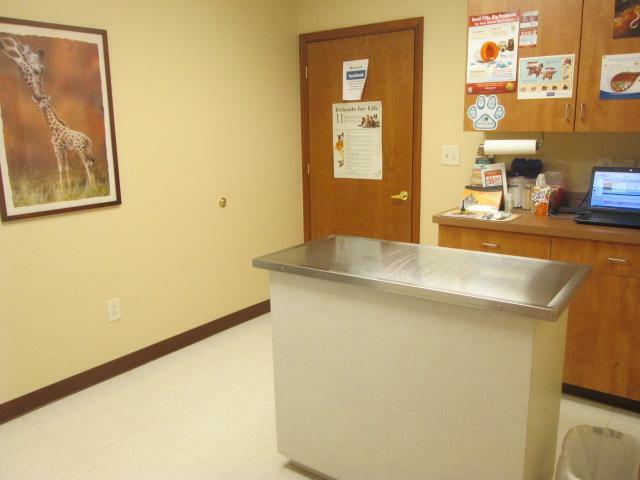 Providing cats with a designated exam room helps to reduce odors from larger animals that may trigger fear. 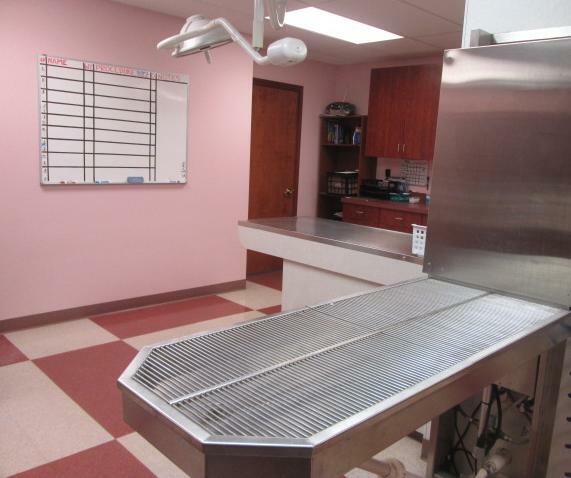 Our lifting table allows us to easily examine very large dogs. 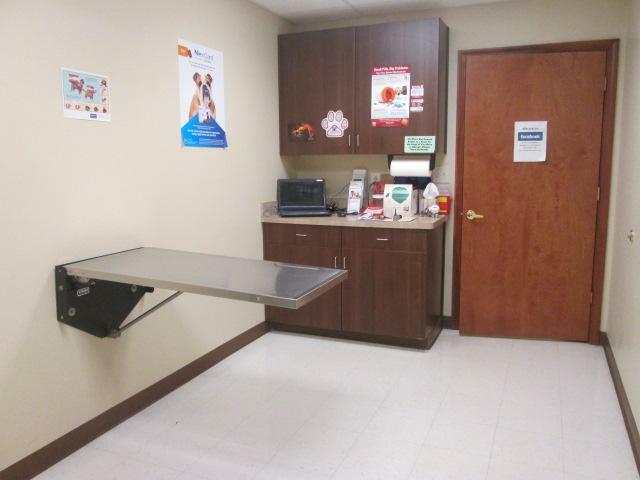 This exam table is for pets weighing less than 30 pounds. 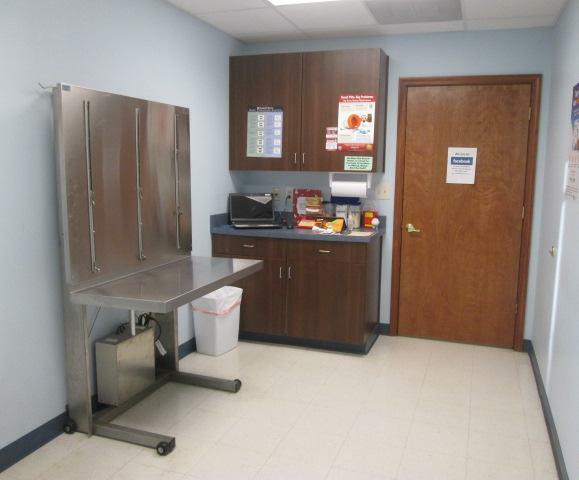 Blood draws, dental cleanings, and other treatments are performed on either the "wet" table or a standard exam table. 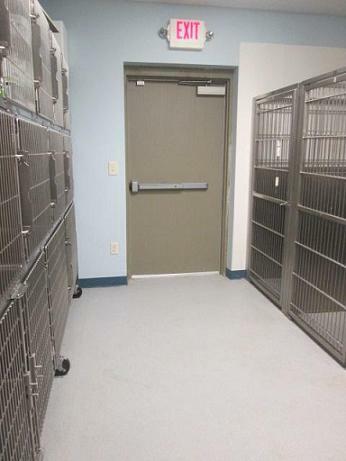 Cats staying for surgery or just for the day are given cozy bedding in our cat ward. 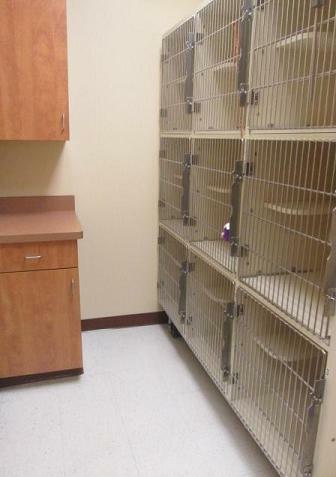 Dogs staying for surgery or just for the day enjoy lots of soft bedding while staying in the dog ward. 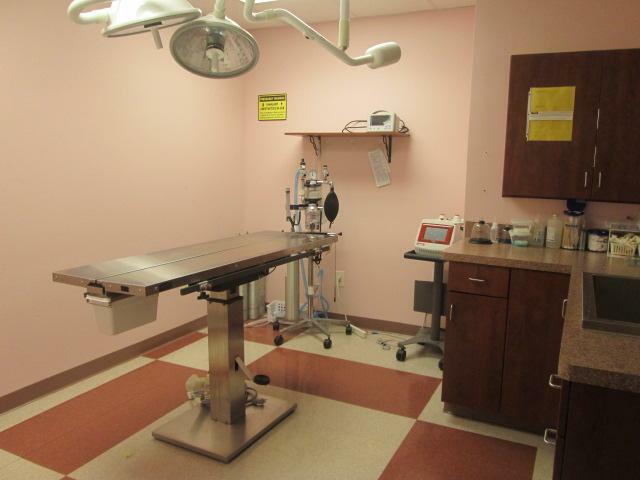 Dr. Mullen performs spays, neuters, and an array of specialized surgeries. All patients are monitored continuously while under anesthesia and rest upon a warm water blanket to maintain their body temperature. 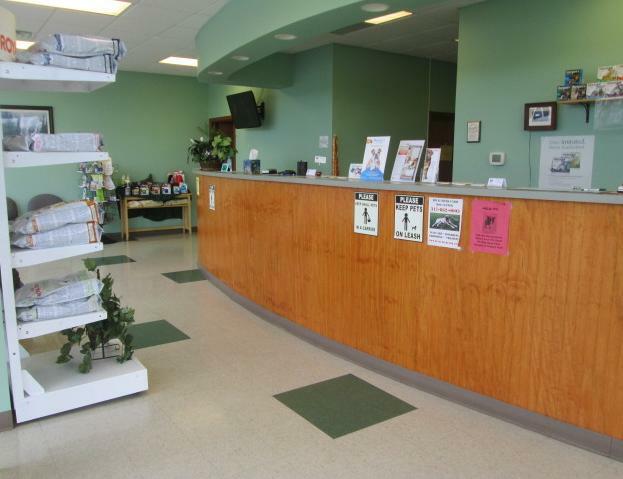 Digital radiography allows Dr. Mullen to instantly evaluate xrays of pets. 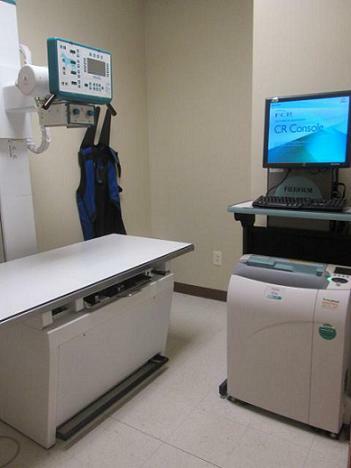 It also allows us to digitally forward the radiographs to specialists or emergency clinics.